Thank you for choosing to activate your card online. Please enter your card number below. 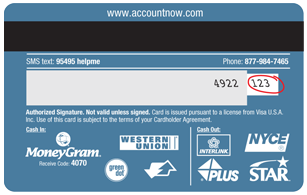 This is the three (3) digit number in the signature panel, just to the right of it, on the back of your AccountNow card.